UPPP! – Unrelenting Pursuit of Photographic Perfection! The Hoffer’s are a rare combination of talent and personality that meld together like peanut butter and jelly. A synergy that immerses any situation involving people, pictures, and life with fun. Our initial encounter with the Hoffer’s consisted of home made chocolate chip cookies washed down by a hoppy IPA. I can’t think of a better first impression. We talked about photography, but more importantly, we chatted about life, pursuits of happiness, life stories, and of course the cool furniture Tony makes in his “spare” time. 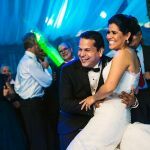 The quality of experience with them is unmatched and will surely be a lasting memory and mark on our engagement and wedding. 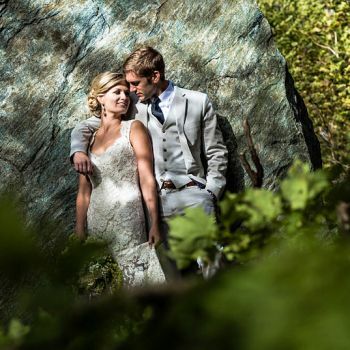 We are thrilled to recommend Amy and Tony, as Hoffer Photography, to anyone that is looking for the most artistic and right-side brained photographers out there. If you are looking for professionals who pair true art with a continuous drive for perfection, the Hoffer’s are # 1. If you are looking for an engaging photographic relationship to complement your devotion to a lifelong commitment, the Hoffer’s are #1. If you are looking for any correlation of humans and pictures, yeah the Hoffer’s are absolutely #1. Let’s not forget their expedient, if not spastic delivery of our photos. Blog – 2 days. Proofs – 2 weeks. Album design – 2.5 weeks. You will not find a better set of talented artists matched to the work ethic of a 19th century industrial assembly line worker. We are enthralled with their services (and Farid!!) and look forward to new experiences with the Hoffer’s by our side (Baby bumps anyone?) Thank you for a once-in-a-lifetime opportunity and for shooting our amazing moments, now suspended in time. Photography has always played an important role in Jimmy’s and my life. I’m not sure if this is because we are afraid of losing our memories in the future and want something tangible to look back on, or simply because it’s such a beautiful form of art and captures timeless memories and moments you can never recreate…Possibly it’s a mixture of the two. Regardless of why we love photography so much, we are so thankful we do, because this was our most important decision to make throughout the wedding planning process, (besides marrying each other) and our “pickiness” led us to you. We are incredibly thankful for that. I don’t think we could ever put into words how truly thankful we are that you have been such a huge part of the past 18 months of our lives and such a special part of the most amazing day of our lives. That being said, I’ll attempt to put it into words…From the moment we met you, we were taken back by your hospitality, kindness, amazing talent, and overall professionalism. We felt as if we met up with lifelong friends over cinnamon buns after a consultation with the two of you. We knew at that moment, we wanted you to capture this special time of our lives, and that no one else could even compare. You guys are. You are amazing people with amazing personalities. God just pours out of you. He is so apparent in your lives, and the two of you just beam with love, gratefulness, and humbleness. Now, onto the wedding day (and all of the moments leading up to it)….I wish I had a better memory so that I could share with you all of the specific compliments Jimmy and I have received on the photographs you took of us and how awesome you were on the day of the actual wedding. People will come up to me and tell me they have never seen such beautiful photography in their life and be referring to one of our engagement pictures. Today, in fact, a friend of mine told me she “just stared for 10 minutes in awe” at the picture of us by the pond. She was in bewilderment, as so many people are when they see your photos. You have to know your talent is truly amazing stuff, but the way you carry yourselves is the most humble I have ever witnessed. When we were in Antigua, Jimmy and I most certainly stalked your blog, like we’ve done almost every day since we’ve met you. On Wednesday (the day our pictures were promised to be posted), we had a catamaran trip booked. It was an all-day excursion, so you can imagine our “sprint” to the internet cafe after exiting the catamaran that afternoon. There we were, in our bathing suits, burnt to a crisp, slightly buzzed from their rum punch, looking at these photographs. We were laughing and crying at the same time. After we looked at the page about 12-13 times over, we decided to head back to our room, only to use our phones and look at them all over again. Every single time we passed the internet cafe that week, we stopped in and took a look at your blog. In that small portion of pictures you posted on the blog, you were able to capture such sentimental, heart-warming moments. I can only imagine what you’ll have for us in entirety. All in all, thank you from the bottom of our hearts. You two are truly amazing people and Jimmy and I are incredibly grateful for you and all of the hard work you’ve done for us. Ultimately however, we are thankful for meeting such incredible people. We feel truly blessed to have met you, learned from you and gained a friendship. 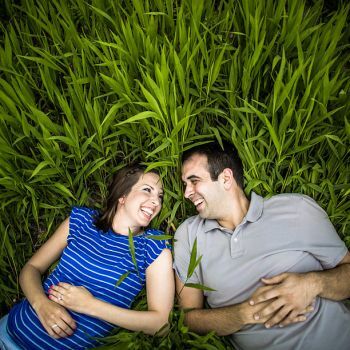 It’s unfortunate we don’t live closer because Jimmy and I hope to continue our relationship with you….whether it’s shooting maternity photos or meeting up for a beer the next time we happen to be in the Downingtown area, we’re confident our lives will cross paths again. Jimmy and I could only be so fortunate. Thank you times a million. You guys mean the world to us. 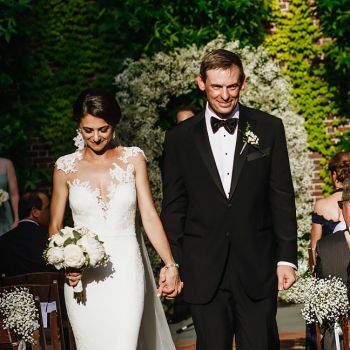 Thank you for helping make our wedding day such a perfectly amazing memory for the two of us, along with all of our closest friends and family. First of all, Ken and I would like to thank you and Amy for the absolutely amazing photos you took during our trip on St. John. The photos of us running around the island are extremely special to Ken and I. It was so surreal to experience the island all over again and make new memories in the spots we first visited a few years ago when our relationship was still so new. And our wedding photos. My goodness. I don’t even know where to begin with those. Ken and I knew they would be nothing short of incredible, but we were left speechless (except for gasps each time we scrolled down the blog entry to reveal the next photo). We are really, really just beyond thrilled with the photos we have seen. 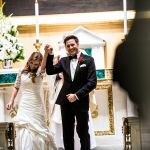 We both said to each other, “I can’t believe these are our wedding photos.” Each time we scroll through the blog post (and we’ve probably scrolled through about 87x by now), we feel like we are reliving every special moment of that day. Secondly, aside from the photos themselves… We knew pretty early on after our engagement that we wanted to do a destination wedding and do something a little different. And once we made that decision, the next most important thing to us was making sure we hired someone to visually document that location. Choosing a place like St. John, we knew we had to make sure we hired the right people who had the talent and experience to be able to capture the beauty of the island. Ken and I made such a great decision bringing you and Amy with us for this adventure. You both kept us completely at ease every step of the way. In both of our professional lives, we plan and manage creative on a daily basis (similar to wedding planning, apparently!). There’s a certain level of specific, inevitable stress that comes with that. With both you and Amy, we had zero worry, zero stress, and complete trust in both of your creative visions and decisions. And I, being a professional logistics freak, felt so comfortable with you two traveling to the wedding, knowing you and Amy have both traveled extensively, for work and for fun. 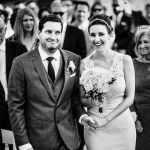 Choosing St. John, and choosing you two to photograph everything, were probably two of the smartest decisions we made with this wedding. You and Amy work SO well together. Of course, Ken and I have an appreciation for couples who can work together :) We truly felt that you were both just two of our friends hanging out, taking some photos of us and the island. We’re not sure we can thank you enough for helping make it such a wonderful experience for us. I don’t have the words to say just how amazing Tony and Amy are. 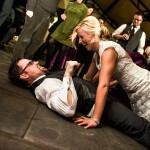 There is not one photo from our wedding day that I’m not madly in love with. We’ve been married 72 days and I still look at our wedding photos every single day because I can’t get enough of them!! Every single guest has told me how stunning our photos are and how they’ve never seen wedding photos as gorgeous as ours. The moments they capture take me back in time, back to that exact moment of happiness and love and for that we are forever grateful. And a side note – Tony and Amy are so awesome and fun and witty you don’t want them to leave at the end of the night.. simply two incredible people with an amazing vision! There were so many small and incredible moments that you captured that I wouldn’t have recalled on my own. If you had blinked, you never would have seen them. Like when I turned to my friend Kelly during the ceremony to acknowledge that I used the bottle of wine that she made for us for the wine box. Or my reaction to when my Great Aunt told me ‘she wasn’t getting fresh’ when she was inserting the hanger straps into my dress. And there are so many moments that you captured that only we are privy to, like the photo you snapped of me consoling Todd after he told me about a difficult conversation he just had. To others, they look like beautifully captured photos of a joyous occasion but to us they are so much more. These photos tell a story, they are perfectly captured memories – captured by two remarkably talented individuals with extraordinary timing and unimaginable vision. I cannot thank you both enough. I never would have remembered all of what occurred throughout the day without you there documenting it. Seeing your photos truly changed my entire perspective of the day and for that I am beyond grateful. Thank you for capturing it all – double chins, mouth wide-open singing and looking like a complete nutter, I love each and every one. When I say that I have had an unhealthy obsession with the Hoffers’ work I’m not kidding. I began following them back in 2008! As time went on, the photos kept getting better and better, and they were getting more and more popular: I was worried they would be out of the wedding business by the time I was ready to get married. Thankfully they were still doing what they do best and they were my first concern on the date was set. 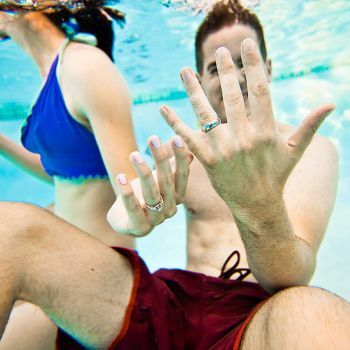 I was so happy when we booked them, because I knew that it was the best choice we could make. 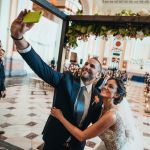 The one thing you leave you wedding with is your memories, everything else goes away and the photos help you hold onto those memories forever! The work that they do is absolutely amazing and unique. Which is crazy that they can find a way to make your photos unique for how many clients they have! To say I love my engagement and wedding photos is an understatement. I don’t even know the right words! Amy and Tony work so well together, people keep telling me how they looked like they were having a great time while working. Which I think helps guests and the bridal party relax and get even better pictures. Everyone is in love with the photos! 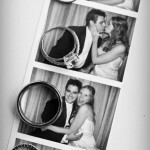 We also used version of a photo booth, the guest cam. It was amazing! I know this review isn’t doing them all the justice they deserve but I think I still have wedding brain. They are amazing and you need to book them!!! We can’t say enough about Hoffer. From our first inquiry through the issuance of our wedding photos everything has been professional, on time, and the photos are unbelievable. We made he inquiry for our wedding date and were teamed up with Jim Heine. He is lovely to work with. Such a gentlemen and truly so passionate about his craft. He got down and dirty (and sweaty) during an unseasonably warm engagement shoot in September for us. Then for our wedding in May, he and his assistants caught literally every memorable moment without being instructive at all. The only downside is that now we have so many great photos to choose from we don’t know where to begin! Our photos are so unique and just truly beautiful. What a way to remember our special day! 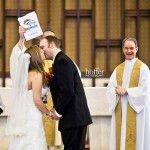 Our entire wedding was planned around Hoffer Photography being there. Our first order of business when we got engaged was finding out their availability, and we booked everything else from there. Every expectation we had of Tony and Amy was far exceeded. From that very first meeting with them at their house, we knew it was the right fit. My husband didn’t understand why I was so adamant that we have the Hoffers, but after he met them, he got it. There’s definitely something to be said for enjoying your vendors as people, and Tony and Amy are great people that you’ll love to be around! On your wedding day they make you feel so comfortable and yourself, and that reflects in their product. They capture you – your expressions and emotions – in such a creative, beautiful and unique way. You can tell who we are as people in our photos. Nothing they do is cookie-cutter. Everything is catered to who you are. Hiring them was the best decision we made in our whole planning process. Not to mention we got two new friends in the deal! If you’re still not sure if they’re going to be the right photographers for you, my best advice is to just go meet them. Set up the introductory meeting, go to their house and eat delicious fresh baked cookies, and just talk to them. You’ll never look back. The photographs from Tony & Amy Hoffer are so fantastic, I’m nearly speechless. Their artistic style blows everyone else out of the water. As soon as I saw their website, I wanted to hire them immediately. Then we met them and knew instantly this was the team for us. We were having a non-traditional wedding, and this really played up their style. Tony took pictures of me getting ready and Amy took pictures of my husband getting ready. They made ordinary backgrounds and objects look extraordinary. We had our first look and they really captured every emotion we had. They were so kind with us, told us how to pose, and really made us feel comfortable. They snuck around in the background during the wedding so we barely knew they were there. The pictures that came out of this wedding are so perfect, I will only hire the Hoffers in the future. And I will only recommend them to anyone else. 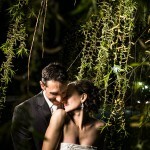 Everyone has been emailing me saying how they are blown away by our photos. Just take a look through their portfolio. There’s no going back after that. Thank you for making our wedding perfect. My friend tells me that we need to expand our decor to that which is not our own semblance. We disagree. He thinks if someone were to happen upon this home, not knowing us, it would appear as if we had some unhealthy obsession with the people in our photos. In a way, he’s somewhat correct. We are obsessed with ourselves when depicted in Hoffer photos, and we are immensely grateful. Ever since we saw your work, we knew that if we could swing it, we’d have the most beautiful engagement and wedding photos. We still receive compliments, and a new coworker of mine is infinitely jealous, for he “tried to book the Hoffers,” but he waited too long. 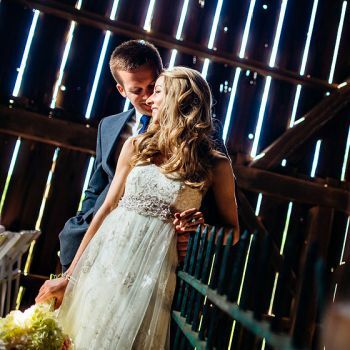 All the time and planning devoted to weddings ends in one fleeting evening. With your photos, we have been able to make the event last forever. 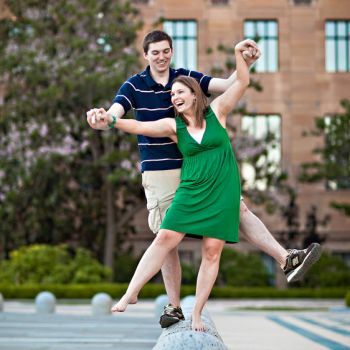 You both made us feel extremely comfortable, and we had a wonderful time working with you. The album has also garnered the highest of compliments from all who enter our home. Thank you so much for everything. These photos are &$*!ing awesome. That’s all I got to say. Thank you Tony and Amy for everything!!! the pictures are amazing!!!!! we took the whole afternoon to enjoy them!!! I cant wait to share them with all of our family, they are probably going to be as excited as we were to see them. They are trully a work of art! We are so happy everything worked out and happy to have met you both, you guys are amazing and your simplicity and good positive energy just made everything perfect! so perfect we didn’t even feel the earthquakes!!!! We really hope you come again to visit and spend more time in Nicaragua, you can stay with us anytime you’d like and we hope to see you again! Katie and I can’t thank you enough for meeting us in Lancaster and doing the shoot with us. I know we didn’t plan much, but I think it worked out perfectly! 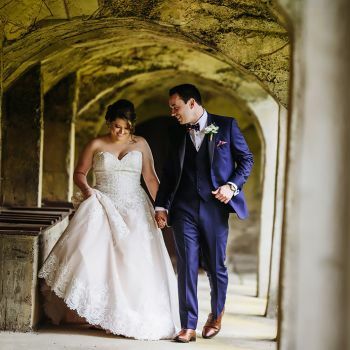 When we met you both a few months ago on the online meeting and went through your galleries, we knew we had found the right people. This is probably going to sounds a little corny, so heads up! You made it very easy for us; we loved every minute of it and can’t stop talking about it. You are both very good at your craft and that is clear to see that through your images, but the experience you created for Katie and me goes beyond art. Told you it was corny, but so very true! Your creativity and shear talent is inpsiring to us. Thank you thank you thank you!! We looove the pictures – they came out better than we could have ever imagined pictures of ourselves could be! You both are so creative and amazing and it was such a fun experience. So many of our family, friends and coworkers admired your work and mentioned how you were able to capture our love and happiness. That means so much so me! The Philly pictures themselves will have so much more meaning, especially since we’ll be heading out in just a few weeks. We (along with our family that are also obsessed with your photography!) are so excited for our wedding and looking forward to some awesome wedding pictures! Larry and I could not be happier with these pictures! You did such an amazing job capturing us in our true element. Our love for each other, happiness, and personalities can be seen in each and every one of these pictures. You both have a true talent, everyone who has seen these so far is so impressed. One response I got from our friend who is officiating the wedding was “OMG! Wow!! Just got chills, these are amazing! 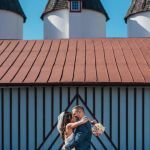 !” I have probably looked at these photos 100 times already, love them all, it will be so hard to choose our save the date! Also, we cannot thank you enough for the quick turnaround time! Jeremy and I looked at each other in disbelief a few weeks ago: We never told Jim how much we love our pictures. And then we promptly forgot, once again, to tell you. So here it is: We love our pictures. Like, so, so much. You guys did an absolutely amazing job, and if we had a dollar for each compliment we’ve gotten on the shots, well, we’d probably just hire you again to take more shots. Our day was better than we hoped for. Your professionalism, humor, and hard work were integral to that. Thank you for giving us visual reminders to hold onto forever. Thank you for treating our wedding like it was special, even though you do this every dang weekend! Tony & Amy, We really cannot thank you enough! Not only are the photos absolutely beautiful, but you guys made everything so easy. We’re so glad we met you guys and we hope our friendship continues long past wedding photos. We are both so touched by the moments you captured during the happiest day of our lives. There’s really no way we could thank you enough… Thank you again, you guys rock! 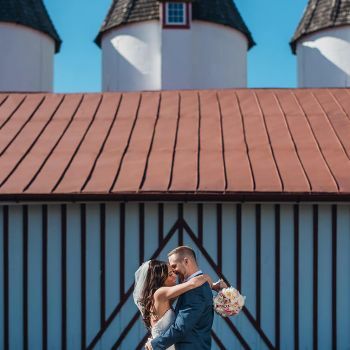 We can not thank you enough for the most amazing wedding photos EVER! 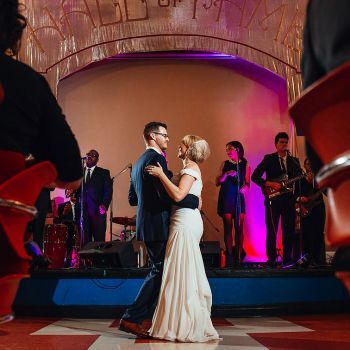 You captured our wedding and every little moment so perfectly. The raves and compliments from our guests keep coming – they all say that you guys are the best photographer ever. 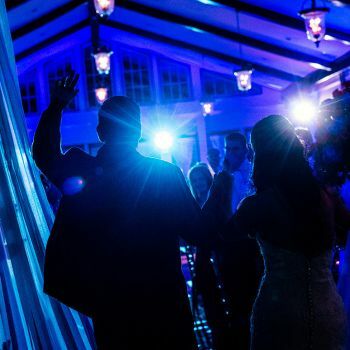 In fact just last night our best man said “Don’t get me wrong, your wedding was awesome but these photos make it look like it was the most epic event ever!” Our entire wedding party keeps telling us how great you guys were to work with. So nice and patient… and they’re right! We couldn’t have dreamed of working with anyone else on the most important day of our lives. Tony & Amy are absolutely AMAZING! Not only are they amazing photographers but amazing people. From the moment we laid eyes on their portfolio, we thought their work was the best we had ever seen. When we had the chance to meet them, it just further solidified our desire to work with them. 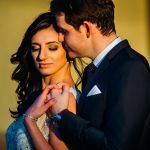 Not only have they taken photos that will allow our wedding memories to live on forever, but we feel lucky to have gotten the chance to know them as people and develop a friendship with them. We placed our complete trust in them and we never worried about anything. They are true artists and professionals and were extremely responsive. Any couple would be lucky to have the chance to work with them and (most importantly) get to know them. We are so thankful for everything they have done for us! If you’re thinking of getting engaged soon, book Tony and Amy NOW. No joke. We are SO unbelievably lucky that they were available on our wedding day and that we had the opportunity to work with them. From the engagement session to the last shot they snapped the night of our wedding…they were the best decision we made in all of our wedding planning. They’re beyond talented and extremely laid back and fun. You’ll feel like friends right off the bat and nothing about shooting with them will feel stiff or rigid; it all comes naturally. And the end result will be THE MOST amazing pictures you’ll ever have. As soon as the wedding was over, we were trying to think of what we can use them for next. They are, in our opinion, the best photographers in the industry. Thank you for our fantastic wedding photos! It’s been over a month and we can’t stop looking at them. So many people keep telling us how photogenic we are and we just respond: No, we just had awesome photographers! Thanks for making us look so good! In all seriousness, you captured our wedding day better than we could have imagined. Plus, you were so easy to work with and made us feel 100% comfortable with each and every shot. We enjoyed having the opportunity to be photographed by the great Hoffers! The love you two share is inspiring and I think it shines through in your relationship with clients and in your photographs. Your talent for photography is breathtaking; we think so and so does everyone who sees our photos. Thank you, thank you, thank you again! Thank you both so much for everything yesterday! Bill and I spent the ride back last night talking about what a blast we had and how lucky we are that you guys are our photographers!! We appreciated that you let us be creative and use some of our own ideas for the pictures, even if they were weird, as Bill said my beer pong picture idea was… ha (I told him they will probably be the best pictures of the day, haha). Anyway, thanks again for being awesome and making us feel so comfortable, by the end of the night we truly felt that we were hanging out with friends that we’ve known for years. We are excited to get yesterday’s pictures and even more excited to see you guys again in January! Have a great weekend and one last, THANK YOU TONY AND AMY!!! First I want to say how amazing the photos are. 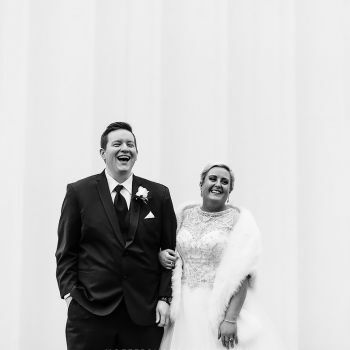 I sent a link to the blog to a bunch of people the morning we left for the honeymoon, and within minutes I was getting texts and emails saying how much everyone loved the photos. I have had so many compliments on them. I have heard on more than one occasion that they could be in a magazine! 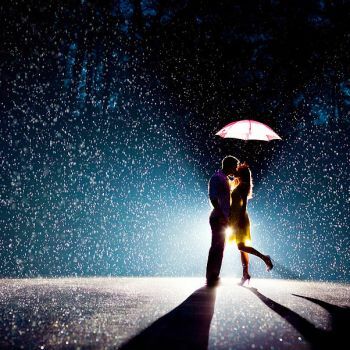 We love the pictures, they are beautiful. You have truly helped to make our wedding a wonderful, memorable experience. You and Amy were great, and Matt and I both really appreciate everything. We received our parent albums a few weeks ago and our own wedding album was waiting for us when we returned from a recent trip. They are all gorgeous. The parent albums made both of our mothers cry and are now prominently displayed in their homes. Katie and I brought our suitcases in the house, washed our hands off and sat down with our album. We know how wonderful your work is, but were struck again by the moments and emotions that you captured throughout our wedding day. Phenomenal work. We are also extremely impressed with the quality of the album color and the pages within. We will treasure this for the rest of our lives. Thank you for giving us such a wonderful gift. When work asks what I have accomplished in the last two hours of my workday I can now tell them I looked at all of my wedding photos… Productive, right? You would not believe (actually maybe you would) the amount of compliments we have gotten from everyone – just on the blog pics! People are literally in disbelief. Everyone was so impressed with how easy-going and professional you guys were…you really blew everyone away! So now I am depressed because I want to have another wedding for you and Amy to shoot… It was an absolute pleasure working with you guys and I guess I owe Ben and Samantha big time for introducing you and your work to us! We absolutely LOVE the pictures! We could not be happier with how they turned out :) You are both so talented – we have had so many compliments on the beautiful job you did. Thank you from the bottom of our hearts. The wedding (and engagement) pictures were so important to us and it was so nice to have photographers that we knew would do an amazing job. It definitely put us at ease knowing that we did not have to worry about that aspect of the wedding. Thank you for making us feel so comfortable in front of the camera! We have been, and will continue to, recommend you to everyone we know. TONY AND AMY!!!! You are amazing!!! Yall did such an amazing job! We love the pictures so much! Yall really captured the sanctity of the ceremony. We loved working with yall! We really appreciate how thorough, calm and organized you both were throughout the whole day. It was so great to meet you both! If yall are ever in Texas, please let us know if yall need anything (seriously!, we have family in just about ever major city)! We wish that yall lived here so we could just be friends. We just really appreciated how relateable and easy going you both were. I hope everything is going well for y’all. Thank you so much again! We all LOVE the pictures so much! I am so thankful that it worked out the way it did and that yall were able to come down to Texas! It was such a blessing! So, I am home with my mom this weekend… and I brought the album with me (oh, and btw- if I bring that too many places, I will not have to workout ever again because I will have the biggest muscles ever!)…ha. Anyway, of course as a mom, the first thing she wanted to do was give me a huge hug and see the album. Honestly, she was in complete shock. She said that she has never ever seen an album so beautiful, and that you guys are just extremely artistic, talented photographers. I guess you had to be here… but she really meant everything she said… and it was really awesome to see her bring back all the memories from the wedding.. and have you to thank for it. There are no words to describe the talent that you get when you book Hoffer Photography… but I will try. 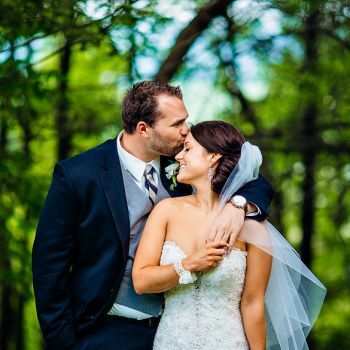 I have mentioned this before but I am a wedding planner and I have seen hundreds of wedding photographers and there is absolutely no one as talented as Hoffer Photography. 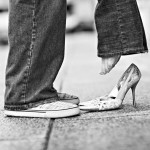 Rest assured, no matter what you hire them to do, it will be the most amazing pictures you will ever see. The pictures are so unique and Tony and Amy have such an eye that the images leave me nothing short of breathless. I do not think Hoffer Photography really needs my glowing review to get business but I feel the need to pay tribute to the two people who captured everything amazing about our wedding day…a nd became good friends in the process. Tony, you guys already know that I think you are the best photographers around, but I thought it would make you feel good to know that EVERY SINGLE PERSON I’ve showed our pictures to also agrees with me. If I hear that these pictures look like they should be in a magazine or this one looks like it is from a movie one more time, I am going to start charging you a fee! All these compliments are really slowing me down. I have places to be, but people keep asking me all these annoying questions about my wedding photographer. You might want to give me a stack of your business cards so i can tell all these annoying people to leave me alone and check out your blog… Thanks for being the best.